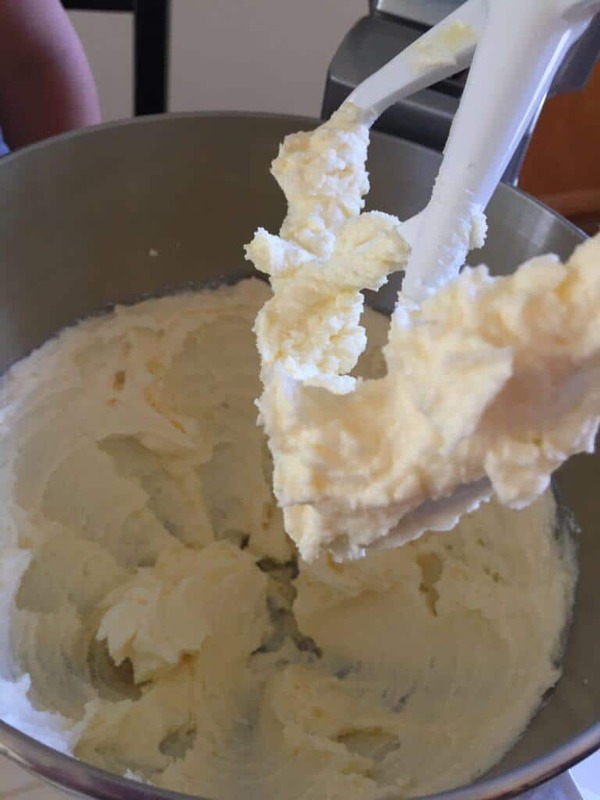 I’m about to do something that I never do lightly: share my family’s butter cookie recipe. This recipe comes from my paternal grandmother and was adopted by my mom in my childhood. 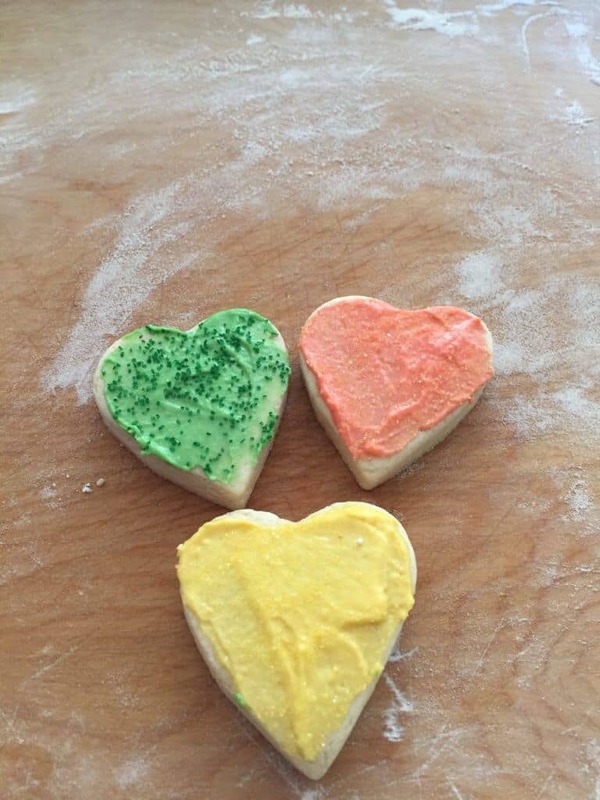 It’s our favorite family cookie and was usually the envy of all my friends. 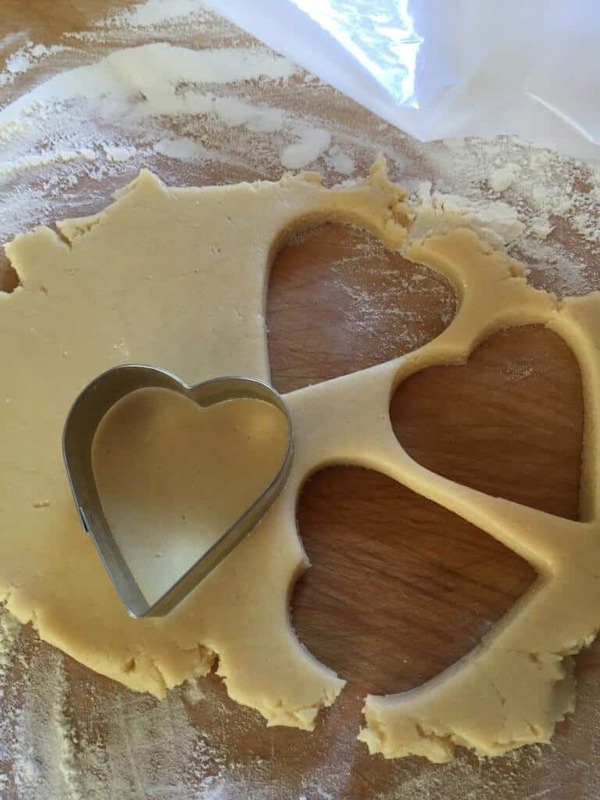 The best part about this butter cookie recipe is we’ve always used it for holidays, because no other cookie can compare when it comes to using cookie cutters. 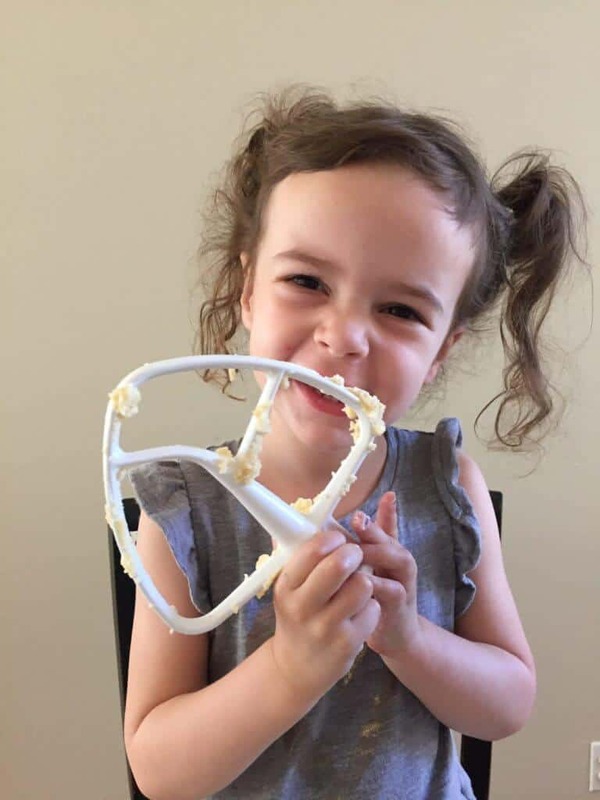 They always retain their shape, don’t expand while baking, are great for frosting and perfect for creating memories with your kids. I hope your family enjoys them as much as mine. 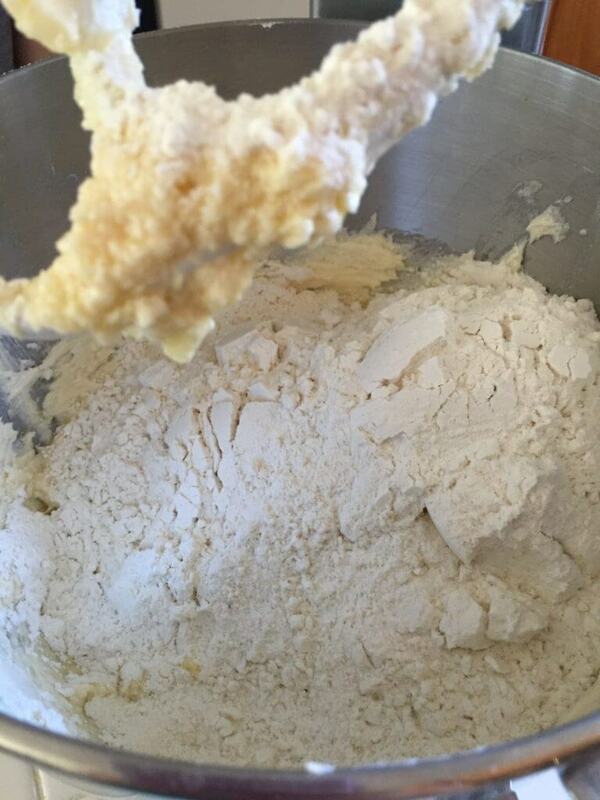 Make sure your mixture is nice and fluffy! 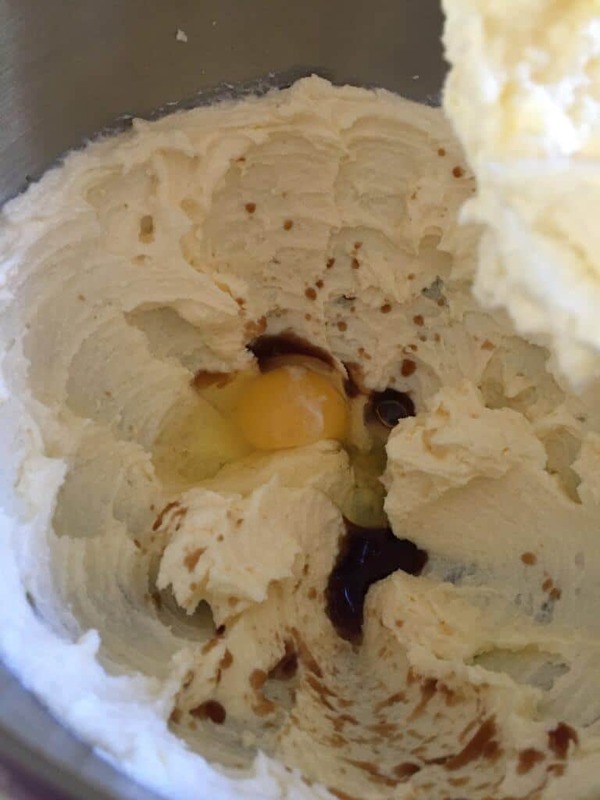 Add in egg and vanilla, and mix well. Be sure to scrape the sides of your bowl and mix everything in. Add salt and flour. 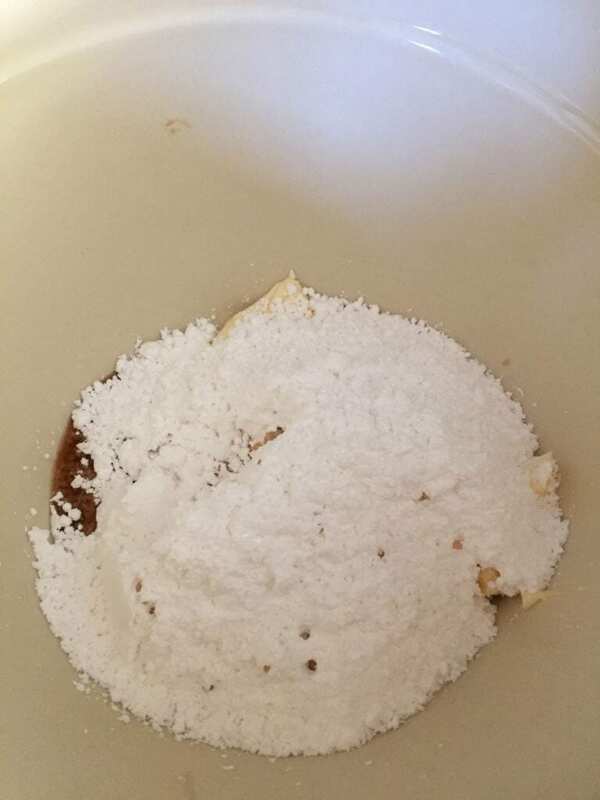 If you don’t have a large bowl, add only half the flour and mix. Then add second half and mix again. 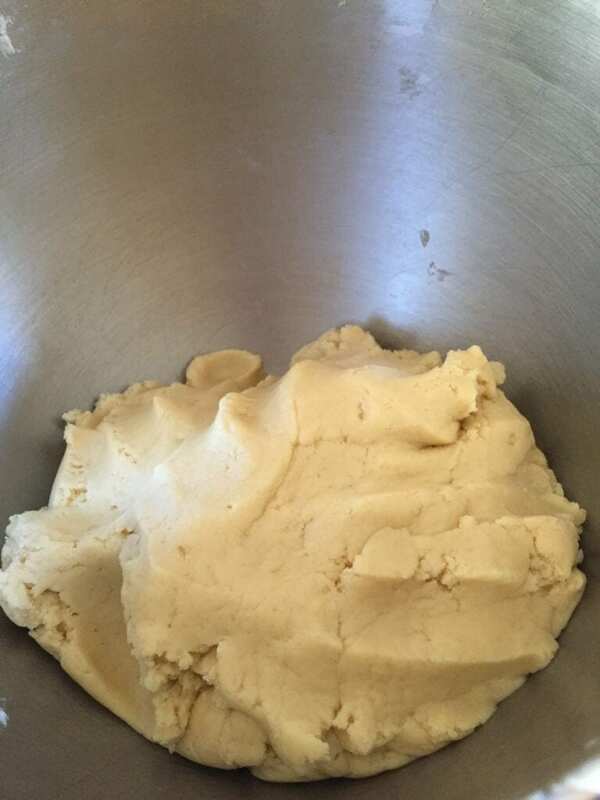 When your dough is well combined, it should resemble this. 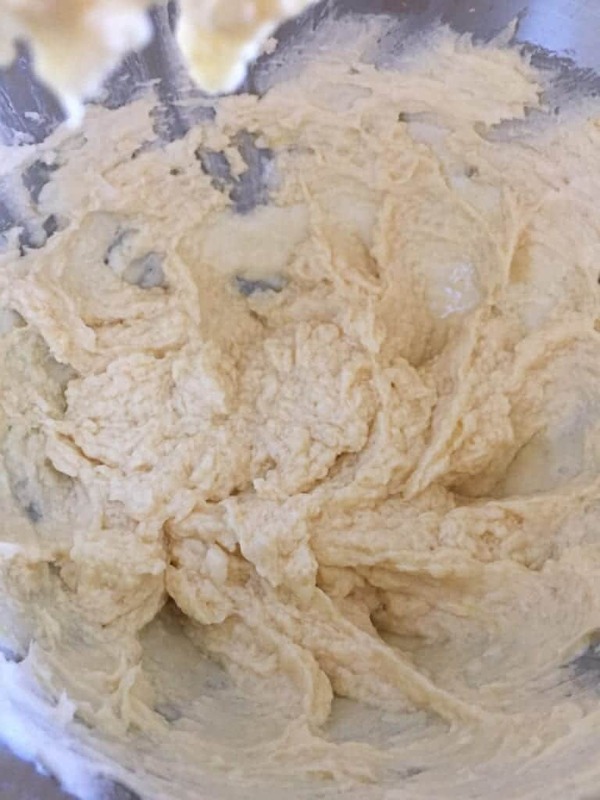 My Kitchen Aid does a pretty good job of mixing on it’s own, but I always like to do a few smushes with my hand to make a nice ball of dough. 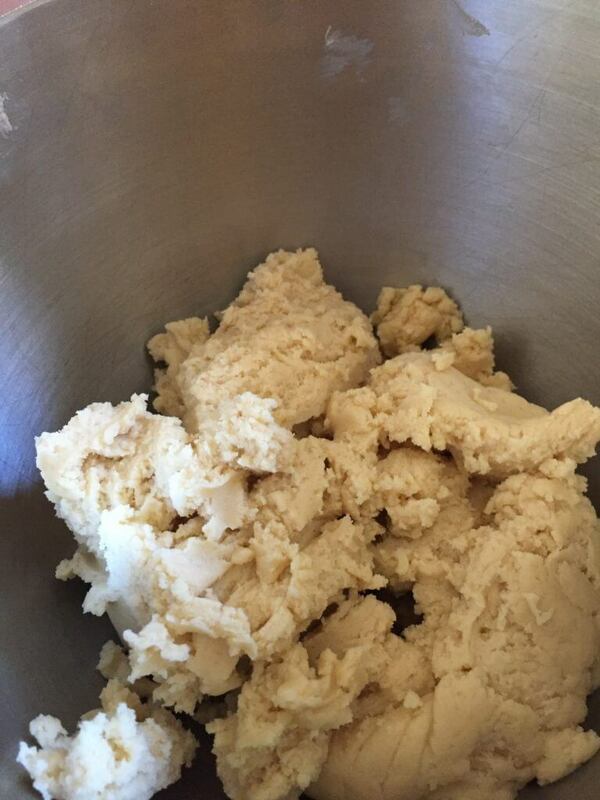 Once your dough is chilled, preheat oven to 375. Lightly flour a cutting board (I use a nice, large wooden one). 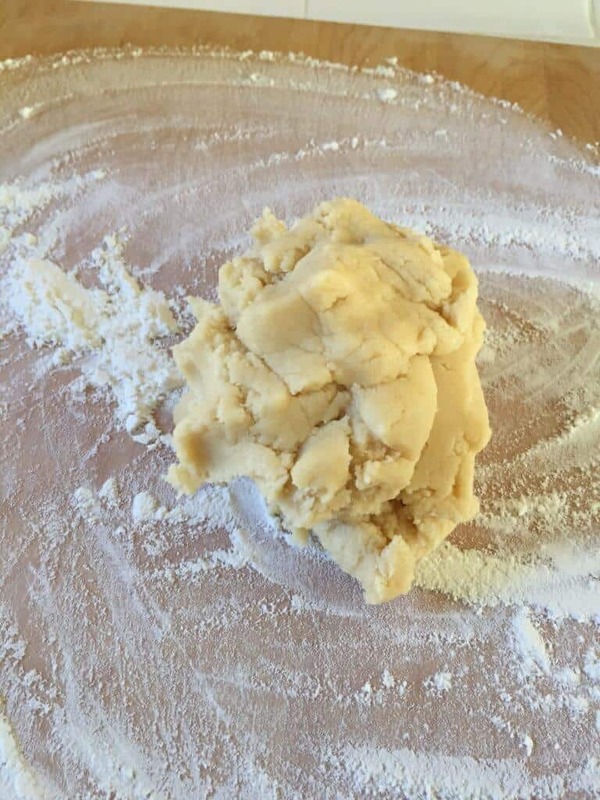 Put a medium to large ball of dough in the middle of your cutting board. The size of your board will determine how much you can roll out at once. 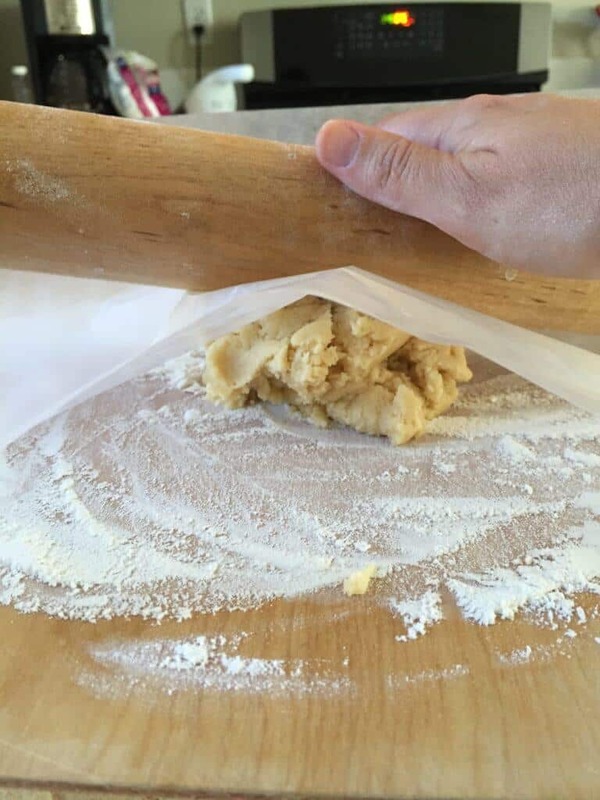 Lay a piece of wax paper on top and then use your rolling pin to thin out the dough into an even layer. 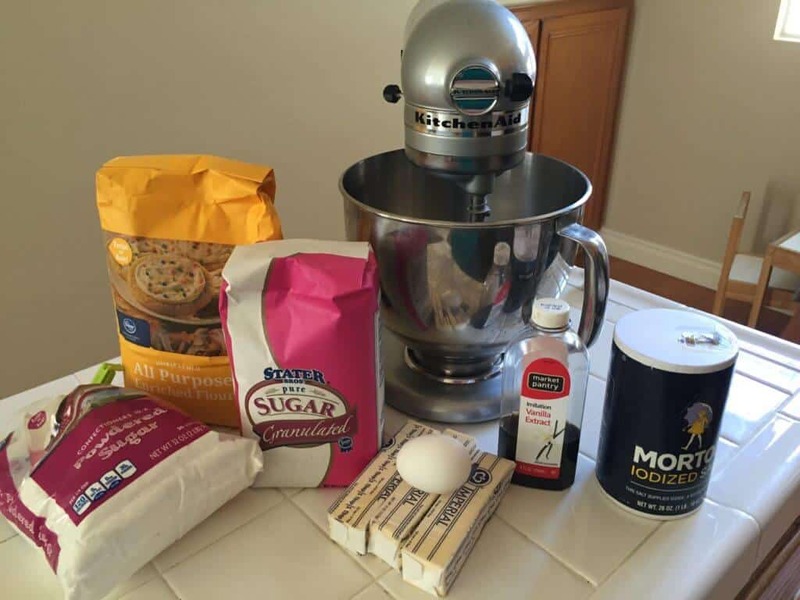 This recipe works best if cookies are about a 1/4 inch thick. 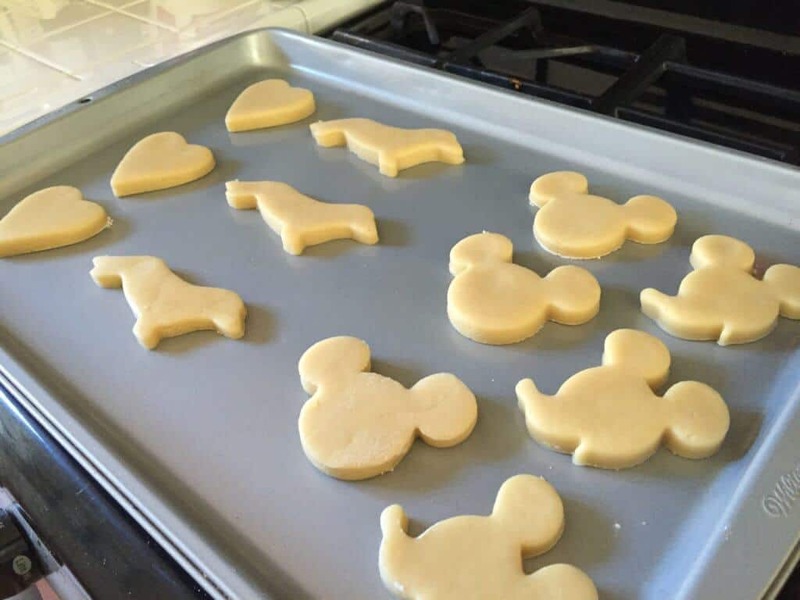 Then start using whatever shaped cookie cutters you want and begin cutting them out! 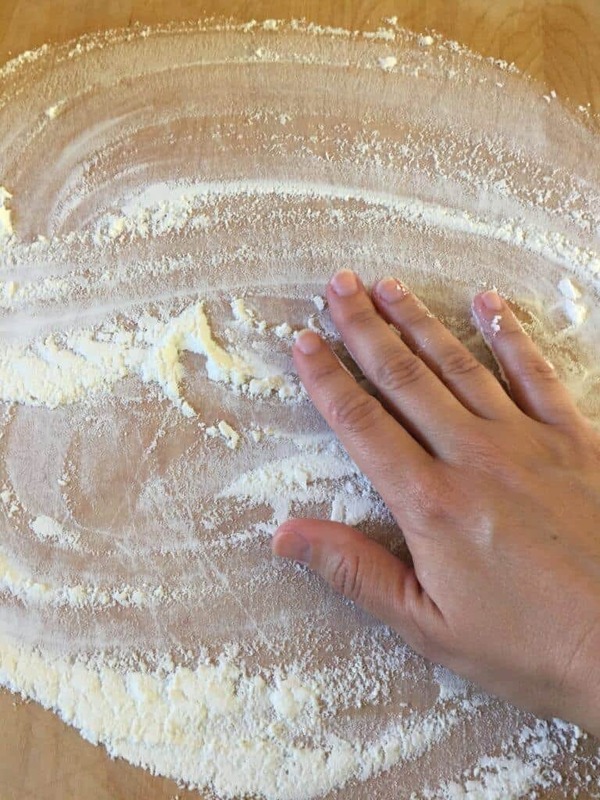 When you’ve used your available dough, form into a ball and repeat the process of rolling it out. 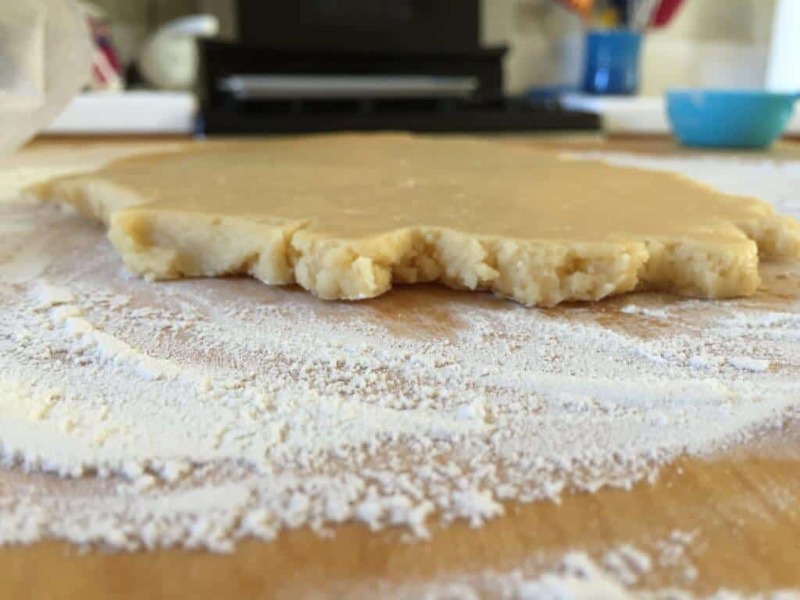 Once removed from the oven, allow cookies to completely cool on sheets of waxed paper before frosting. Now, for the frosting! 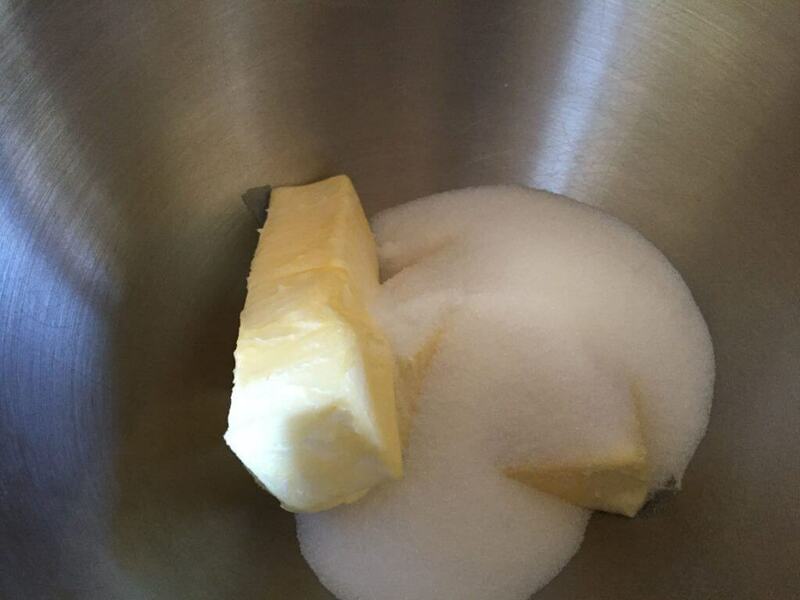 Combine butter, vanilla extract and confectioners sugar and beat until creamy. 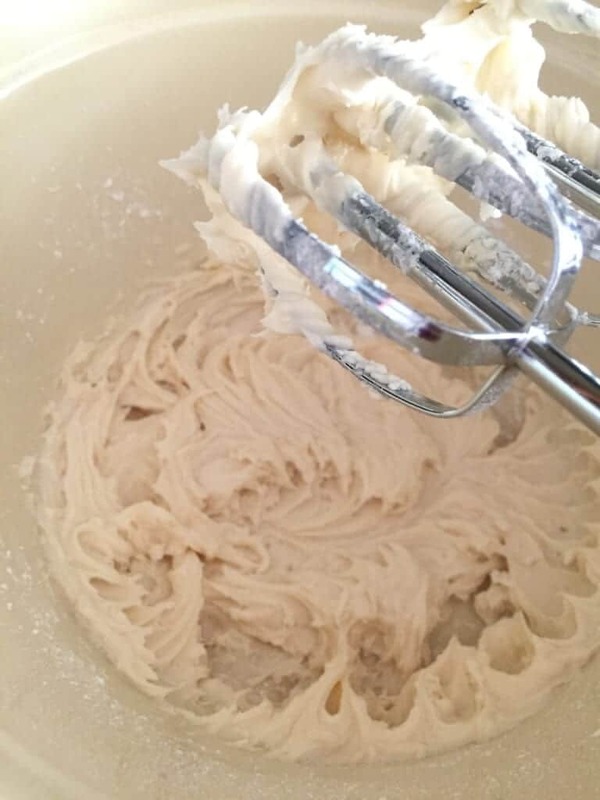 I personally use a hand mixer for this step. Add a little less than ONE tablespoon of milk and then beat. 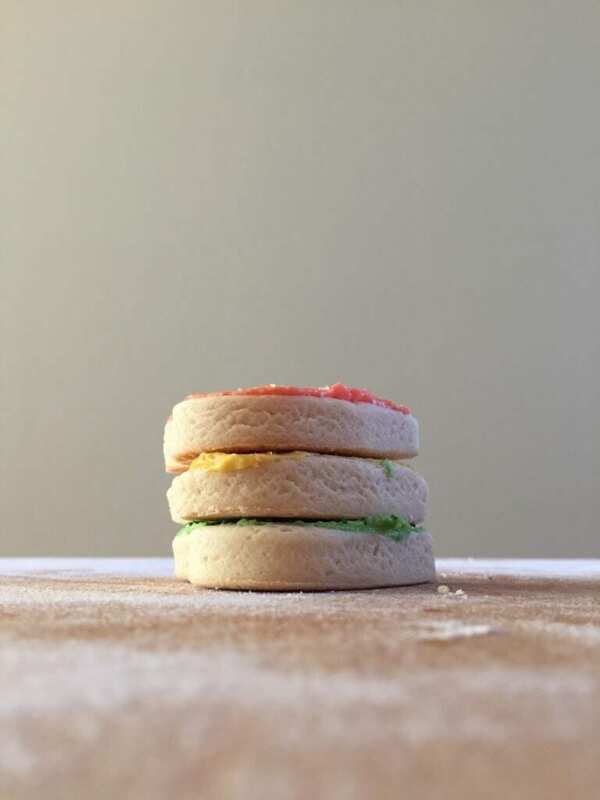 You do NOT want a runny frosting, you want a creamy but flexible version that is easy to layer on cookies. 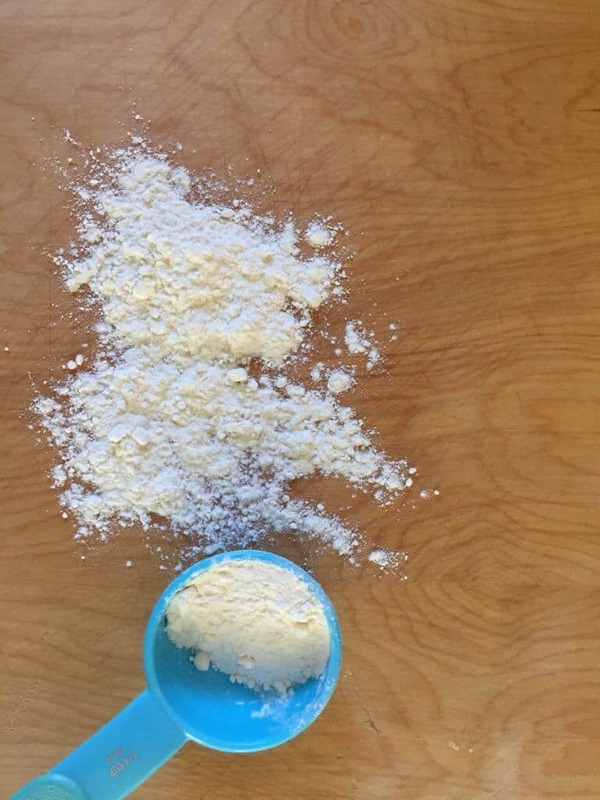 You can always add more milk if it’s too thick, so just add small amounts at a time. 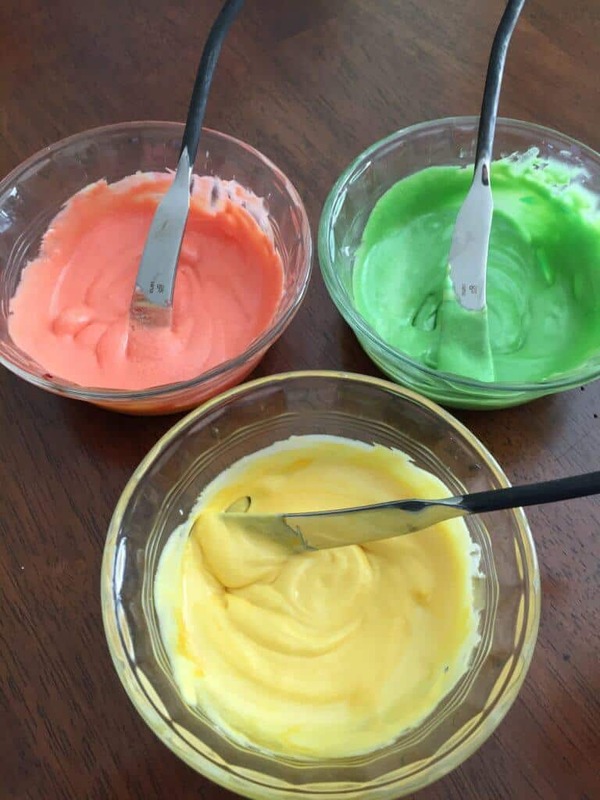 Once you have your desired consistency, spoon into separate bowls and then add food coloring! I personally did summer colors this time around. I suggest when the holidays roll in, to invest in some Wilton Gel food coloring. You will get rich, vibrant colors that you just can’t get from traditional liquid coloring. 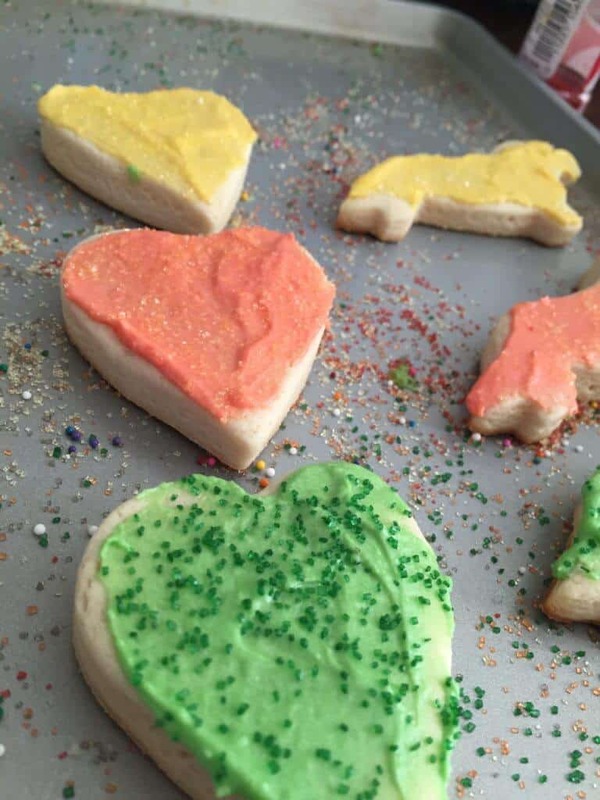 Use a cookie sheet to frost and add sprinkles to your cooled cookies. This is the best part for kids! 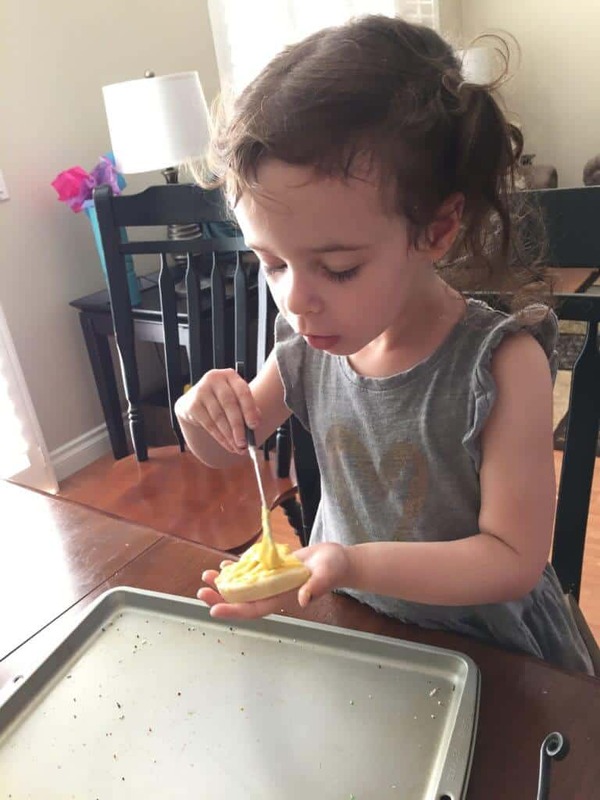 The cookie sheet will help contain the mess and not allow quite so many sprinkles to escape on your table and floor. I love how the frosting and sprinkles gives everyone the creative license to make a beautiful cookie in their own way. This traditional style cookie is one for the memory books and I hope you and your family enjoy. 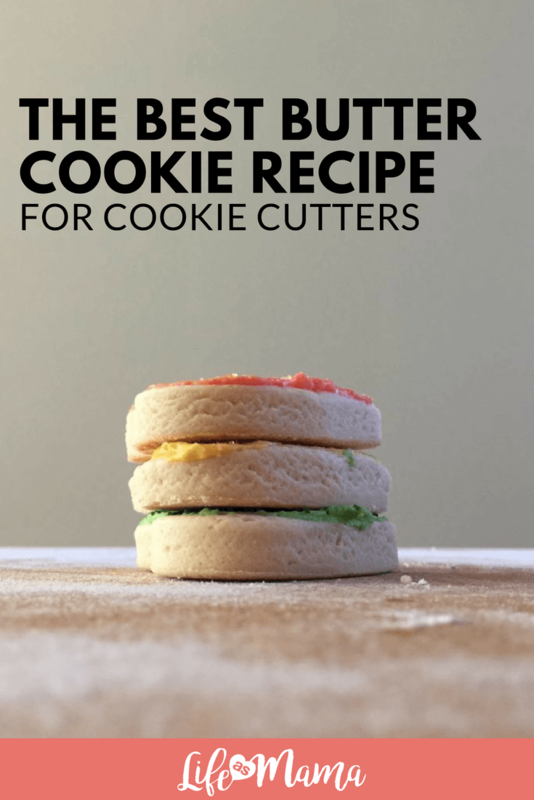 The post The Best Butter Cookie Recipe For Cookie Cutters appeared first on Life As Mama. 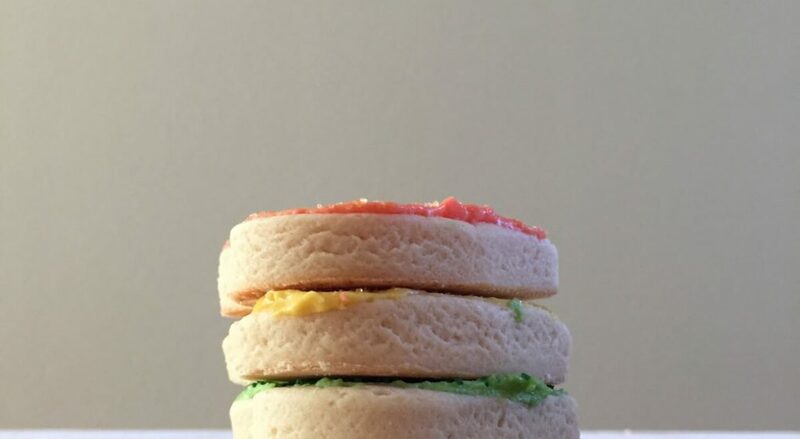 10 Scrumptious Cookie Creations You Have To See To Believe!